Apple has announced a special event on 25 March 2019, likely to introduce a new video service, but Adam Engst is hoping it will also feature a few improvements to Apple Music. 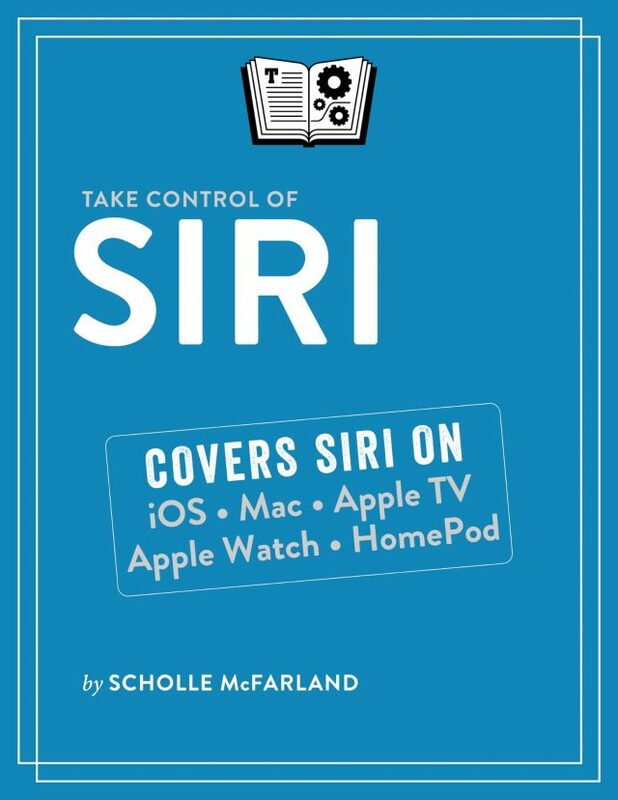 Siri takes a lot of flak, but Apple’s voice assistant is increasingly powerful, so if you’ve wished you could use Siri better, check out “Take Control of Siri” author Scholle McFarland’s tips. Finally, a warning. We set out to review the feature-rich CloudBerry Backup for macOS but discovered that it has fatal flaws, such as reporting success while not actually backing up all the files it should. Notable Mac app releases this week include Little Snitch 4.3, TextExpander 6.5, Rumpus 8.2, ChronoSync 4.9.2, BBEdit 12.6.1, and Ulysses 15. 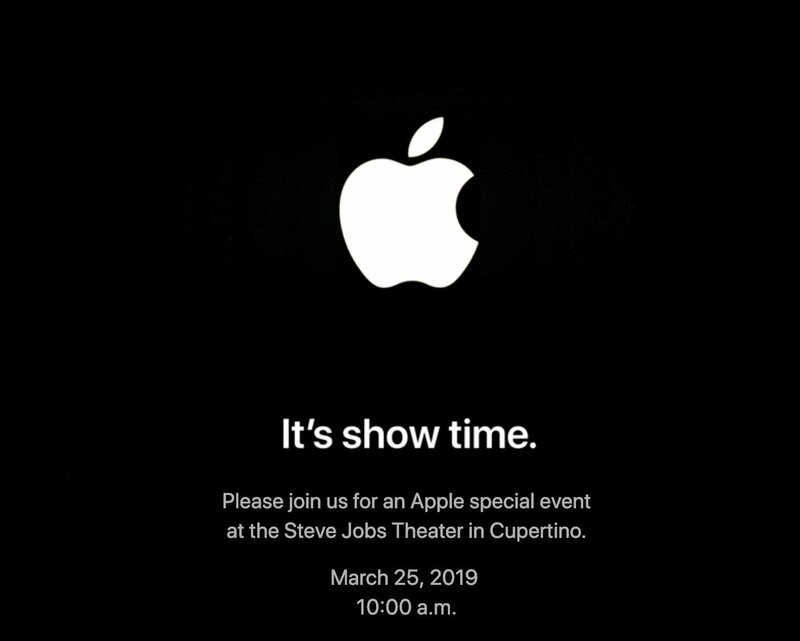 Apple has announced that it’s hosting a special event at the Steve Jobs Theater in Cupertino on 25 March 2019, likely to announce its new video service. With any luck, Apple Music will receive updates as well—here are the main changes I’d like to see. The vast archive of tracks in Apple Music is a boon in many ways, but it’s all too easy to end up listening to a song about which you know nothing at all. That’s especially true if you ask Siri to create radio stations inspired by an artist or song (“Play Bruce Springsteen radio”) or play your personal radio station (“Play music I like”). You can always ask Siri “What’s playing?” to learn the name of the song and the artist, but wouldn’t it be helpful if you could enable a “DJ mode” in which Siri would automatically introduce each song with its name and artist before it plays, just like a radio DJ? Turn it off when you know what you’re listening to, and turn it back on when you’re letting Siri drive. Speaking of options, I’d also like to see one that would avoid playing tracks from live performances. I’m sure opinions differ (hence the suggestion for an option), but I often find the pre-song chatter of a live recording to be jarring, and I usually prefer the sound of the studio recording of a particular song. For those who aren’t like me, Apple Music could do the reverse, and offer a way of playing only live tracks to simulate the feel of being at a concert. Implementing such options shouldn’t be that difficult, given that iTunes shows live albums separately—which might be a somewhat recent change—showing that Apple can distinguish live tracks from studio sessions. Part of my irritation with live tracks is that if I ask Siri to play music from a prolific artist, I can end up listening to the same song repeatedly, once from its original album, a few times from live recordings, and multiple times from greatest hits albums. For any given session, once is enough. I’m sure each instance of the song has a different unique ID behind the scenes, but Apple Music should be smart enough to avoid duplication of songs by name as well. In nine songs, Apple Music played “Dust in the Wind” four times, “Point of Know Return” twice, and only one song by an artist other than Kansas. Bad algorithm! Any person who elicited such a reaction would apologize, and I’d like to hear Siri do the same when one command is followed by another that countermands the first in an agitated tone of voice. Why is it that Siri never apologizes for its mistakes? If you’re an Apple Music subscriber, do you like it? And if you rely on another streaming service, which one? Or do you stick to ripped tracks in iTunes? Register your vote in our quick one-question survey and expand on your answer in the comments. 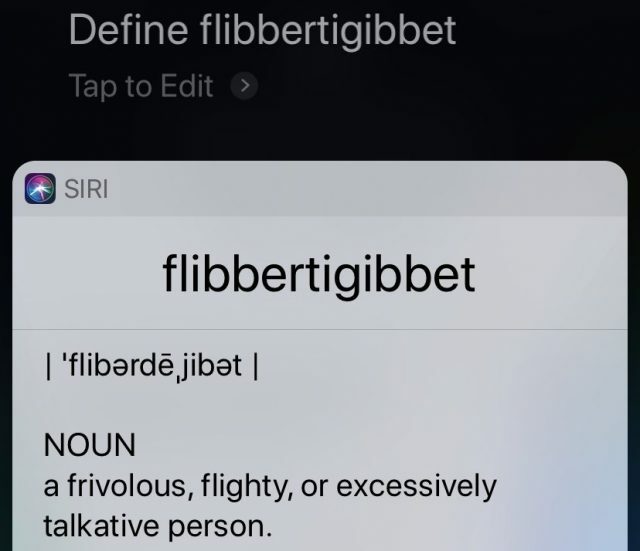 Answering questions, making telephone calls, and (perhaps) telling jokes may be some of the things you think of when you think of Siri, but Apple’s digital assistant has many more tricks up its sleeve. These tips are just the part of the iceberg that’s peeking out of the water when it comes to Siri, though. You can learn about everything that Siri can do in detail in my new book Take Control of Siri. It’s just $14.99, and if you’ve caught the HomeKit bug as well, you can buy it for just $20 in a bundle with the just-updated Take Control of Apple Home Automation, by Josh Centers, which is also normally $14.99. It can get tiring to log in to iCloud.com and scan the map for a wayward Apple device, just so you can end up, as always, wandering around your house listening for a muffled ping. (In my case, that ping once came from the freezer where my iPhone was cooling its heels, carefully wrapped in tin foil. Ah, toddlers). From time to time, you may need to look up a password for a Web site when Safari AutoFill goes on the blink or you need to type the password on another device. As of iOS 12 and macOS 10.14 Mojave, Siri makes the process a whole lot easier. Trigger Siri and ask for a password by name to jump right to it. For example, ask “What’s my Netflix password?” or “What’s my Dropbox password?” Or say “Show my passwords” to pull up the whole list. Don’t worry: you must enter your login password on the Mac to gain access to passwords. Your iOS device can verify your identity using Touch ID or Face ID. 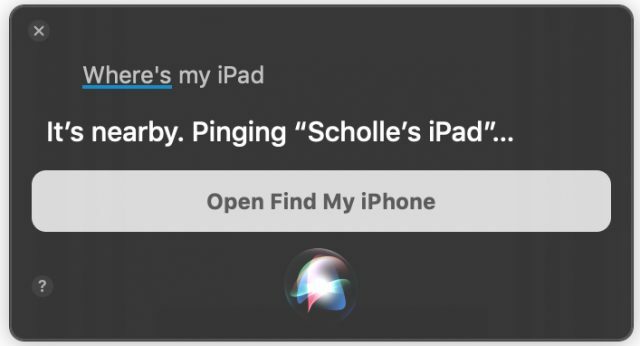 On your Mac and iOS devices, Siri offers fast access to your apps. Trigger Siri and say: “Open app name,” “Launch app name,” “Play app name,” or even just the app’s name. (Perhaps Apple thought it would improve our attitude toward work to say “Play Photoshop” just as easily as “Play the Sims.”) However, Siri can’t close apps. Tip: You can also search the App Store using Siri. Say something like “Show me money management apps” or “Show me kids’ games” and the App Store opens to that category. Love them or hate them, alarms help us wake up on time and get out the door. 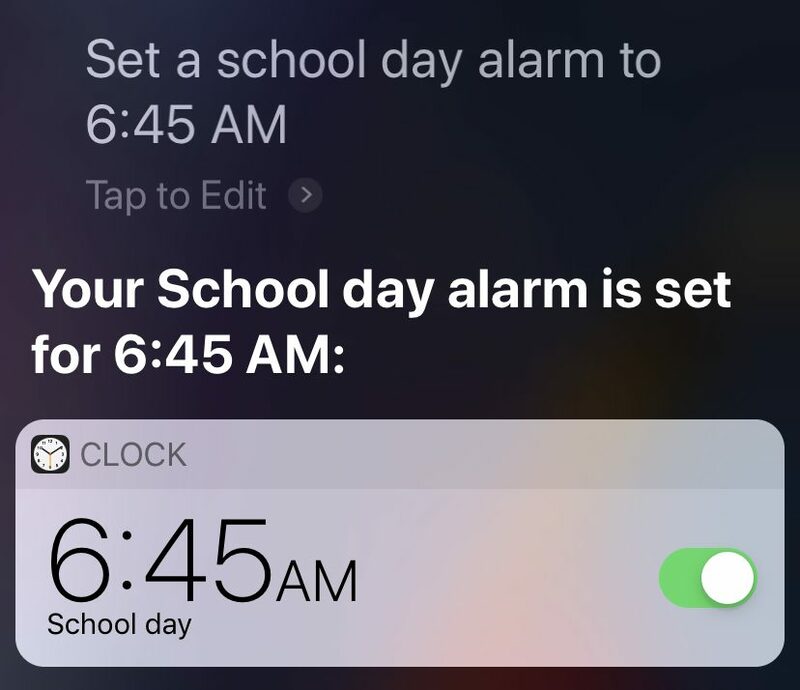 Use Siri to set an alarm on your iPhone, iPad, Apple Watch, or HomePod. Trigger Siri and say “Wake me up tomorrow at 6 PM” or “Set an alarm for 5 AM.” When the time comes, the alarm sounds, even if your iPhone is set to Do Not Disturb or your Ring switch is set to silent. It’s not difficult to grab your iPhone and take a snapshot, but Siri can make it a little bit easier and faster—skipping over multiple steps that could make you miss the moment. 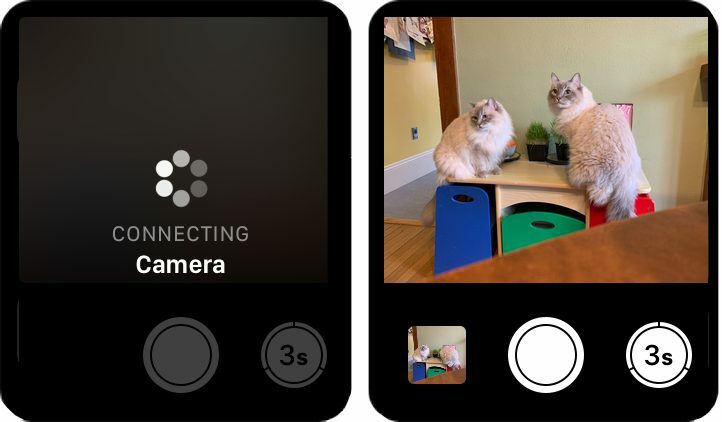 On your iPhone or iPad, trigger Siri and try: “Take a selfie,” “Take a photo,” “Take a square photo,” “Take a panorama,” “Take a video,” “Take a slow-motion video,” or “Take a time-lapse video.” (Siri can’t activate Portrait mode.) Siri opens the Camera app to your desired setting. Line things up and take your shot. That’s right, you have to take the shot—Siri can’t press the shutter for you. This gets more fun if you have an Apple Watch. Put your iPhone in place with its rear-facing camera on your target, then walk away. Activate Siri on your watch and say “Take a picture.” (Other Siri Camera commands won’t work). As long as you’re in Bluetooth range, your iPhone’s camera activates. Tap the white shutter button on your watch to take the photo immediately or tap the 3s icon for a three-second countdown. With its simpler camera setup, your Mac is more limited, but “Take a photo” does launch Photo Booth and activate the iSight camera. 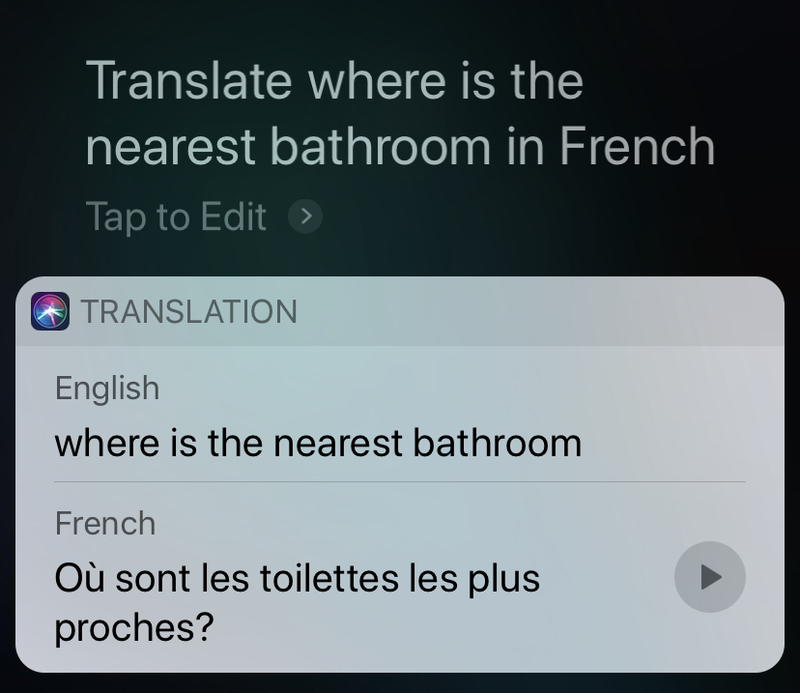 Siri can also go beyond the basics to do searches that would be complicated, or even impossible, to do by hand. 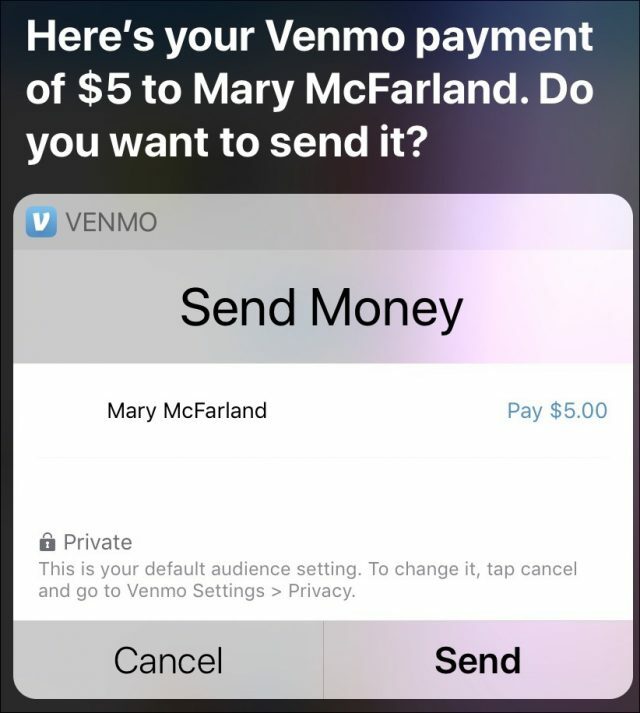 Ask Siri a question that ties into the Photos Advanced Computer Vision feature to comb through your images at lightning speed. 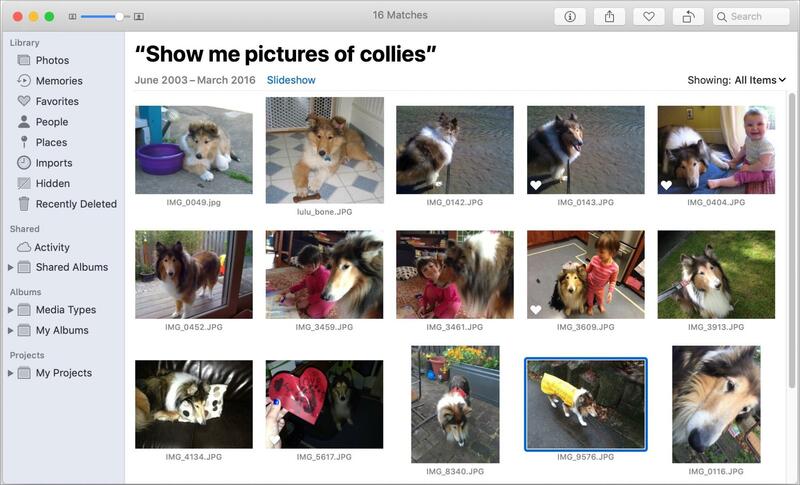 For instance, say “Show me pictures with collies” and Photos opens to a collection of images it thinks match. You can find a strange and wonderful variety of objects, including tree types (“Show me pictures of oaks”), plants (“Show me pictures of roses”), landmarks (“Show me pictures of the beach”), and little ones (“Show me pictures of babies”)—4432 objects, according to Apple. If Siri doesn’t find matching photos in your library, it does a Web image search instead. On the Mac, your Siri request appears at the top of the Photos window in large type. On your iOS device, your Siri request takes you to the Photos search screen with what you said in the search field. You can also request an Apple Pay payment from a friend using Siri on your iPhone or Apple Watch. Try: “Ask Eowyn for $17 for the T-shirt.” For more details about setting up and using Apple Pay, see this Apple support page. If you live in the United States, it’s easy (if often depressing) to keep up with the headlines on your iOS devices and HomePod. Just ask Siri about the news. As long as you have Apple’s Podcasts app installed, Siri can play news digests and recaps from Bloomberg, CNBC, CNN, ESPN, Fox News, NPR, and the Washington Post by tapping into the media outlets’ latest shows. Trigger Siri and say “Play news headlines” or “Play news from NPR” to hear an update from the NPR News Now podcast. If you prefer something else, say “Switch to Fox News” or “Switch to the Washington Post.” Or, next time ask for your favorite outlet (from the list above) by name. In some cases, you can get more specific, with a command like “Play sports news from ESPN” or “Play business news from Bloomberg.” But you’ll find that you can’t yet request a lot of topics—science, technology, or world news for instance—that you’d usually see in the newspaper. Need a flashlight? Just activate Siri and say “Turn on the flashlight.” This can be particularly helpful if you’re still not used to the way the flashlight button works in iOS 12. If you’ve enabled voice activation, you can also use this trick when you’re trying to find something in the middle of the night. Just say “Hey Siri, turn on the flashlight” and your iPhone illuminates, even if it’s on the charger across the room. Your toes will thank you for not stumbling around in the dark. 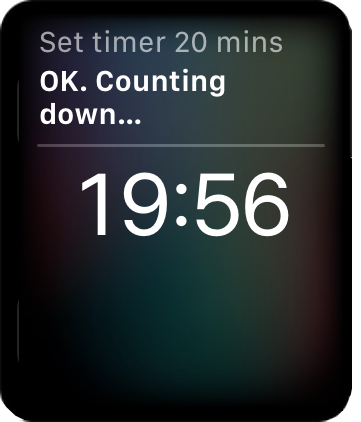 Discover more ways to use Siri in Take Control of Siri! Scholle McFarland has been covering the Mac since 1996 as an editor at MacUser magazine and then Macworld. During that time, she witnessed Apple transform from everyone’s favorite “doomed” company to everyone’s actually favorite company and is still amazed by the whole thing. When she’s not working as a freelance writer and editor, Scholle (“Sholly”) likes to hang out with her family, friends, and many animals in beautiful Portland, Oregon. Numerous products have emerged over time to fill these needs. A detailed survey of the best of these products and how to assemble them into an overall backup strategy appears in Joe Kissell’s Take Control of Backing Up Your Mac, which also includes an online appendix of tables comparing many other apps. For bootable duplicates, Carbon Copy Cloner and SuperDuper dominate the Mac world, and ChronoSync can create bootable duplicates in addition to its syncing capabilities. For versioned backups, Time Machine is certainly the most well-known and common solution, but it’s far from perfect. As a result, a category of competing apps has arisen, led by Arq, that can both create versioned backups and store them offsite (see “Roll Your Own Cloud Backups with Arq and B2,” 18 May 2018), obviating the need for an additional Internet-only backup service for offsite backups. Such apps have their quirks, though. 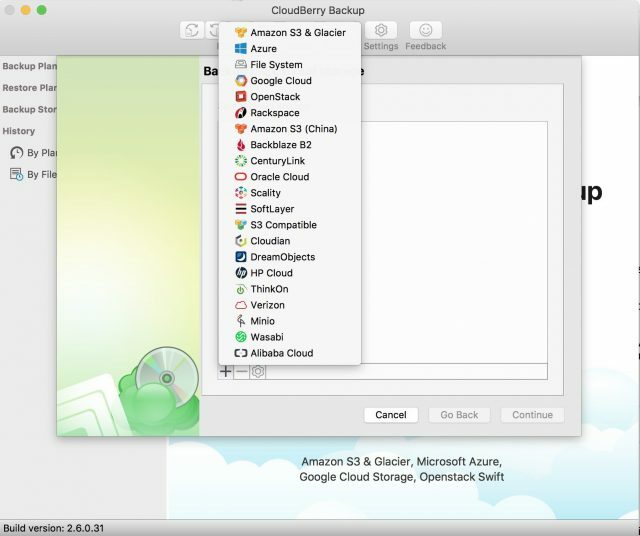 So when CloudBerry Lab approached TidBITS to review CloudBerry Backup for macOS and we read its impressive feature set, we were excited about the possibility of discovering a compelling solution for both versioned and offsite backups. But alas, it seems that dream will have to wait. CloudBerry Backup for macOS is available for free, which serves as a fine way to evaluate the product. But for a mere $29.99, you can get the Pro version, which adds key features such as encryption, compression, email support, and the capability to store more than 200 GB. (That pricing does not include storage, which you will have to obtain elsewhere.) I used the Pro version for my testing. With a name that plays off cloud-based storage and the cloudberry fruit that’s native to northern Russia, the homeland of several of the vendor’s key employees, CloudBerry immediately impressed with a wide choice of backup destinations. My testing centered around Wasabi for cloud-based backup, since I already had an account with Wasabi, and File System, which is the option that lets you back up to a local drive. CloudBerry offers a standard set of file selection and exclusion options, along with a flexible set of retention parameters to give you control over how long to keep your files and how many versions of each file to keep. Conspicuously missing, however, is the simple option to fill the entire volume before starting to delete old file versions, as Time Machine does by default. 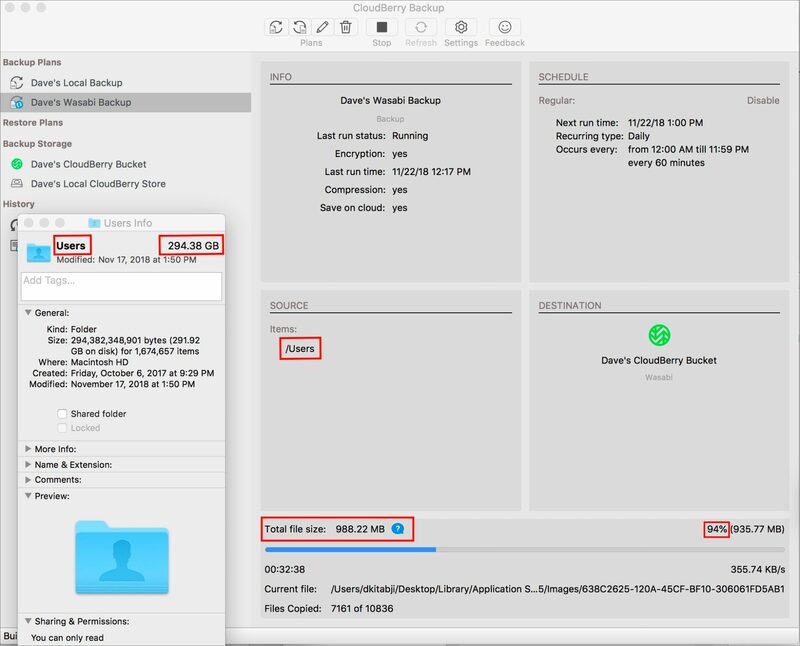 In addition, CloudBerry provides a rich set of scheduling options for controlling the hours and days during which the backup should run and with what frequency. Also conspicuously absent, however, is the simple approach of running “all the time” on an “as needed” basis, as apps like CrashPlan offer. Options for compression and encryption are available, as well as email notifications for backup completion and some control over the email formatting. Backups run incrementally, which means that, after the initial backup, CloudBerry only has to back up files that have changed, an essential feature which is standard across the industry these days. 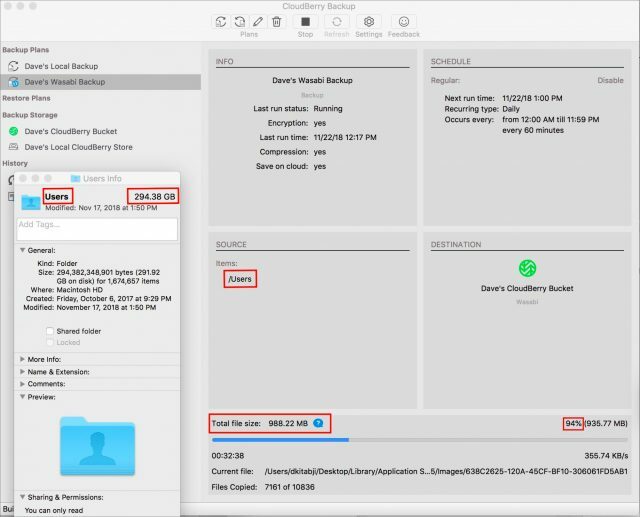 It also offers a block-level backup option that provides even finer granularity than incremental backups. If you make a small change to a large file, only the file system block where that change exists, possibly as little as an 8 KB chunk of data, will get backed up, rather than an entire file that could easily be 1000 times larger. The collection of all these options constitute what CloudBerry calls a plan, and you can create any number of plans to back up different files to different destinations in different ways. Beyond the plan-specific settings, there are additional global settings that provide control over how to handle symlinks, bandwidth throttling, and whether an active backup can keep the Mac awake. Plus, internal application settings let you control things like the thread count, chunk size, and memory footprint. Having all this power and flexibility presented in such an attractive user interface left me feeling like I was truly going to have full control over the backups I was about to initiate. Unfortunately, my bliss was short-lived. Some of the issues I ran into were minor, others major. But the totality of them undermined my confidence in the product. Let me walk you through some of what I found. After I set up a backup, I watched CloudBerry run. There were times I saw its main process, cbbWorker, consuming more than 40% of CPU cycles, which disrupted my productivity. CrashPlan, for example, can detect when you’re using the Mac interactively and throttle its CPU consumption down to a configurable threshold during those times to keep from affecting the user’s productivity. CloudBerry offers no such control, making it a less well-behaved background process. While CloudBerry does offer network bandwidth limiting, it’s not smart enough to go full throttle when you’re away from the Mac. The result is that you either have to choose between a service that performs quickly and one that doesn’t interfere with your work—you can’t have both. Background behavior issues are frustrating, but concerns that make you wonder if all your data is accounted for are more troubling. I made sure my plan had no file exclusions or any other setting that might account for a discrepancy. So what was CloudBerry backing up? If it completed, how could I know that all my data was stored safely? So I carefully watched the backup progress, and I noticed that the progress bar seemed to shrink and grow over time rather than advance strictly from left to right. This would make sense if, like an option offered by Carbon Copy Cloner, CloudBerry were to start backing up before it finished tabulating how much it had to back up. But that’s not how CloudBerry works; it calculates that Total File Size number up front. To make matters worse, the progress bar didn’t match the percent completion figure stated beside it. Note the “94%” in the screenshot, with the progress bar barely a third of the way across. I queried CloudBerry support about the progress bar and was told not to trust it because it was inaccurate. The support rep made no comment about plans to fix the inaccuracy, and the admission knocked my confidence in the app down a level, but I decided that it wasn’t a deal-breaker. I came back later, logged in, and found the backup was incomplete and not running, with no notification at all. Fortunately, CloudBerry’s highly readable logs made it clear that the backup had been interrupted by the Mac going to sleep. I fixed the problem by checking the “Never sleep on backup” option in the app’s settings. But how many people look at logs, readable or not? I do, because I’m an experienced software professional and because I’m doing a technical review. But most users don’t, and they shouldn’t have to. Backup should just work, and since backups will often take a long time (especially the initial one), it’s insane that the “Never sleep on backup” setting wasn’t suggested by the app. And if there is a problem that interrupts a backup, CloudBerry should yell at you like a smoke alarm until you fix the problem, because your data is at risk. I restarted the backup, at which point CloudBerry perplexingly tabulated a different—and more accurate—source file size of “~300 GB.” Ignoring the wishy-washiness of that number for the moment, I decided to let it run. After 24 hours, CloudBerry had scanned only a small fraction of the files (17 GB of 300 GB). At this rate, it could take 20 days to get my initial—and not particularly large—backup to start copying. This was unreasonably slow. From a CPU point of view, I was running on a 2017 27-inch iMac with Retina display, and cbbWorker was using less than 8% of the available CPU most of this time, apparently having recovered from whatever it had been doing earlier, when it was chewing over 40% of the CPU. Plus, there was plenty of CPU headroom to spare. 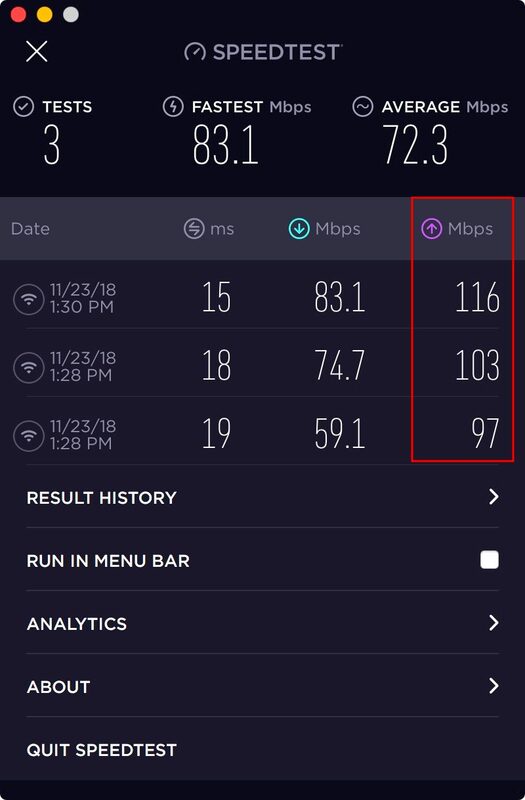 From a bandwidth point of view, I have Fios service that provides 100 Mbps for both downstream and upstream transfer, and it wasn’t busy transmitting or receiving data. 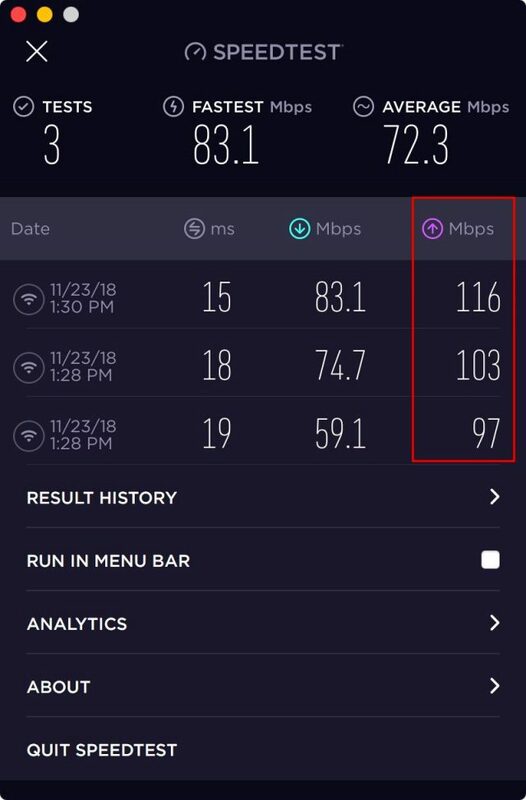 Speed tests showed that other apps on this Mac could upload a lot of data. Likewise, the internal Fusion Drive where the source files were located can move a lot of data. Clearly, none of these system resources was the bottleneck. This suggests that the problem lies with either the client software or the remote server software or its local network. Given that I have over 1.5 TB of data to back up, this molasses-like performance would make CloudBerry unusable for me. As I did with the previous problems I encountered, I set aside these performance concerns and worked toward completing a successful backup. And I got one! Or did I? I gave up on the cloud backup, chose a much smaller source file set of about 10 GB, and set my backup destination to an external hard drive. CloudBerry finished backing up almost immediately and claimed success, with a nice little green check mark. But that seemed too quick, so I checked the console statistics (which everyone does, right? ), where I learned that CloudBerry had backed up only one file comprising 110 bytes of data! That’s success, when I had selected 10 GB to back up? As you will see, I continued trying to troubleshoot why CloudBerry backed up only one file out of thousands. And of course, errors happen. But it’s dangerously negligent to report success and lead a customer to believe their data is securely backed up when it clearly is not. It’s entirely possible that a customer would perform this backup so they could then reformat their source hard drive. And then they would restore from CloudBerry backup to find that one file is all that’s there and all their other files are nowhere to be found! “What about the green check mark?! ?” I can hear them yelling. In spite of CloudBerry’s lovely graphical user interface, it’s apparently well known at CloudBerry Lab that you have to use the command line to have any hope of a working backup. Essentially, you have to run the Unix chown command to change the ownership of the plan file so that you can do advanced, sophisticated things like, you know, back up the files on your Mac! I find this astounding. This is like handing a man the keys to his shiny, new Cadillac and saying, “Now sir, when you get home, before every long trip, you’re going to need to slide under the engine and use a socket wrench to adjust a few bolts for the car to work correctly. Otherwise, it may crash.” It would be trivial for CloudBerry to automate this change for you; there’s no reason that any user should have to type Unix commands to enable basic functionality. But I am apparently a glutton for punishment. If some simple Terminal commands were all it was going to take to get CloudBerry backing up my files successfully, I’d call myself a power user and use the product with (possibly misguided) pride. But CloudBerry was tenacious, and stubbornly stymied every attempt I made to grant it even a participation trophy. I followed the guidance of the CloudBerry Lab support team and created a brand new backup plan with a corresponding empty destination folder so I’d have a clean slate to work with. I changed the permissions on the plan file before starting, launched the process, and let it complete. It once again completed suspiciously quickly and with file-size statistics that, as before, were deeply unsettling. I knew I couldn’t trust the veracity of the statistics, even with this command-line change in place, but I wanted proof that something was amiss. I had a similar concern with Time Machine back in 2009, which led me to write a Unix shell script to look for discrepancies between my source and destination files. I found a glaring set of files that Time Machine was omitting, reported it to Apple, and shared my results online. So I decided to write a similar backup integrity audit script for CloudBerry. To ensure that my audit would be accurate, I created yet another backup plan and corresponding storage destination, making sure compression, encryption, and all file exclusions were disabled. Then I let it run just once to ensure that CloudBerry’s versioning capabilities didn’t create multiple copies of any files that might have changed since the original run. Luckily, CloudBerry, when run without compression or encryption, simply mirrors the tree of files and directories to its destination. As a result, much as I did when auditing Time Machine, I was able to write a simple script to perform a file-by-file comparison of the source and destination folders, and report on what didn’t match. The source had 307,958 files, whereas the script found only 7854 files in the backup tree. Yes, you read that correctly. This means that the source copy of the audrey home directory has 106 GB of data in it, whereas the copy made by CloudBerry only has 309 MB. Recall that I disabled compression and ensured that there were no file exclusions. Are you feeling deeply unsettled yet? I filed these results as a fresh ticket with CloudBerry Lab. At first, the support techs suspected that the issue could be related to symlinks, the approximate Unix equivalent of Finder aliases, not being handled properly. Fortunately, besides the output shown above, my script stores, behind the scenes, details about every file that is inventoried, so it’s easy to drill down to figure out which files were present in the source but not in the destination. Since I spend much of my professional career troubleshooting software issues, I know that to solve broad problems, you invariably have to focus on just one or two specific cases to get the bottom of the larger problem. I pointed out that I’m running High Sierra, not Mojave. They replied they had received some reports that High Sierra users were experiencing a similar issue, which they hypothesized could have been caused by Apple back-porting some of Mojave’s security mechanisms to High Sierra (which would be the first we’ve heard of such a thing). They also said that CloudBerry’s engineering team would be working on a fix, but there was a backlog of updates in line ahead of that fix. And CloudBerry Lab’s engineer agreed to that statement. “There’s currently an issue with some personal files not being backed up because of macOS data protection mechanism, namely the contents of “/Users/$USER/Library/” directory. Even my single example above, however, shows that the problem is not limited to the contents of ~/Library. I hope CloudBerry Lab’s engineers will review my detailed series of tickets and make sure they understand the details of the problem so that they can properly fix it. However, given that I had to uncover this glaring issue myself and that they have not informed their users about it, I can’t see ever being comfortable trusting CloudBerry in the future. I have seen other reviews of CloudBerry that happily check many boxes on the feature list and grant it a favorable rating. I wonder how many of those reviewers actually performed a non-trivial backup using the product and took the time to evaluate whether it was in fact working properly. I really wanted to be the one to tell the TidBITS community that there was another great backup app to consider. But I wanted to do that because I want to help you protect your data, and right now, the best way I can do that is to recommend that you do not use CloudBerry Backup for macOS. To quote the late, lamented Dantz Development, “To go forward, you must back up.” Be safe out there! Dave Kitabjian has been writing software and designing Internet and telecom services for 30 years. A Mac owner since 1984, he manages five of them at home while developing for Linux and Windows at work. O’Reilly Media occasionally asks him to do technical editing, and he enjoys playing improvisational jazz on keys, bass, and guitar. Objective Development has released Little Snitch 4.3 with improved detection of program modification, performance improvements, and bug fixes for the network traffic management utility. Little Snitch now checks whether a program has been modified or tampered with (even if it lacks a valid code signature), improves the appearance of Dark mode in macOS 10.14 Mojave, reduces CPU load during DNS lookups and while inactive, improves overall performance for large rule sets, automatically combines similar rules into a single row, and ensures data rates shown in Network Monitor match the values in the status menu. Smile has released TextExpander 6.5, tweaking the snippet editor by replacing the text-based macro notation with simple visual blocks that are easier to identify. The reworked snippet editor also enables you to build date and time macros within fill-ins and adds support for cumulative date math. While it has been a little over 8 years since its last Watchlist appearance, Maxum Development’s Rumpus file transfer server app is still going strong with the release of version 8.2. This update extends the Rumplet desktop applet—which enables sending of large files to outside guests—by adding the Rumpus Tether client application, giving users quick access to uploading, downloading, previewing, and deleting content on the Rumpus server. Ulysses has updated its eponymous writing app for the Mac and iOS to version 15 with enhancements for images, search, and keywords. The Mac app adds a split view that displays two texts at once (either vertically or horizontally), a keyword search that shows all keywords in use in a group, and a keyword manager that enables you to organize and rename keywords and assign colors. The release also lets you set image sizes to apply during export; adds support for WordPress 5’s Gutenberg editor; greys out empty links, images, and footnotes in the editor; ensures deleted styles, themes, and markups are correctly deleted on all synced devices; and improves error handling for iCloud syncing problems. Facebook CEO Mark Zuckerberg has written a lengthy blog post with the wonderfully self-serving title, “A Privacy-Focused Vision for Social Networking.” What Zuckerberg’s post really outlines, however, is the difference between messaging between small groups of people and “public social networking.” Zuckerberg focuses on the former, promising end-to-end encryption and ephemeral content and claiming that it’s a huge shift for Facebook. But as analyst Ben Thompson of Stratechery points out, these changes would come in addition to Facebook’s current products, not in place of them. In essence, Facebook wants to have its cake and continue eating it (and your personal data) too. Although Facebook has a long history of lying about its privacy-abusing activities, I agree with Thompson that Zuckerberg is probably serious about improving the privacy of Facebook’s messaging products. Doing so doesn’t work against Facebook’s core business model, and it gives the company a response whenever Apple CEO Tim Cook beats the privacy drum. You’re likely aware that companies like Facebook and Google base their business models on accumulating, analyzing, and selling access to data about you and everyone else in the world. But at least you probably have some sort of a relationship with Facebook and Google. What you may not have realized is just how many companies out there are trading in data about you even though you have no connection with them at all. To these firms, you’re nothing more than bits to be fed into the machine.